Hi there. This is Darlene Franklin. Since the heroine of my next release (Golden Dreams, September)works in a Depression-era soup kitchen, I thought I would write on their history. Did they start with the Great Depression, or extend back to the era of work houses for the poor? Imagine my surprise to learn they had their origins with the military. 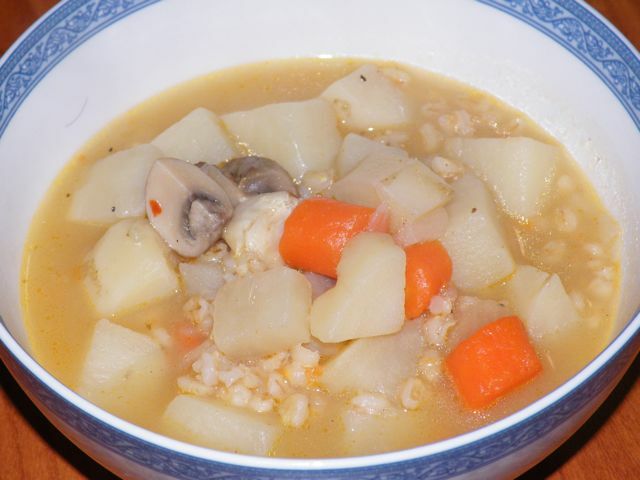 Count Rumford came up with the perfect inexpensive,savory, and nutritious meal possible, a barley soup that also included peas, potatoes, wheat bread, vinegar, and salt. Of course water made soup an ideal food for large groups. Extra mouths to feed? No problem, only add more water. His creation led to the creation of soup kitchens across Europe. The Human Society of New York opened a kitchen in 1802. Like today, debate raged over the question, did soup kitchen discourage self-reliance? Or did it perpetuate the problem? The popularity declined in the 1820s. The Salvation Army is notable for keeping its food depots open through all economic and political climates. Soup kitchens revived in the wake of Black Monday, October 28, 1929, when Wall Street crashed. For instance, the of the Capuchin Service Center of Detroit started up less than a week later, on November 2, and fed 1,500-3,000 people a day. For many, their soup kitchen meal was the only food they had all day. Churches and other private charities established the early soup kitchens. The state and federal governments got involved by the mid-1930s, to the point where every town had some kind of food provided for the hungry. Volunteers of America started during this era and has remained one of the biggest providers, expanding their services to other social services such as children's daycare and services for the elderly. The biggest surprise (even more so Count Rumford) is that gangster Al Capone began the frst soup kitchen in Chicago in an effort to clean up his bad boy image. The need for food relief has waxed and waned. Of course, soup kitchens no longer serve soup exclusively. The 1980s saw a resurgence of services and then again as recently as 2006. Maple Notch's soup kitchen us an example of a very important ministry during a time of our nation's greatest need. 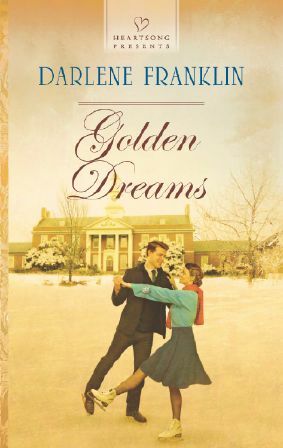 Golden Dreams, Book 2 in Maple Notch Dreams, is a depression-era story of love, hope, and faith in spite of impossible odds. My heroine seeks a spot at the 1932 Lake Placid Olympics. Loved this post! I had no idea where soup kitchens originated. Can't wait to read your book! How interesting to learn the origin of soup kitchens! Thank you for sharing this bit of history!! Very interesting to learn of Al Capone's involvement in soup kitchens! Who'd a thunk?! Our little town doesn't have a soup kitchen, but a local church hosts a free meal once a month and anyone can come. An interesting post, Darlene. I had assumed the soup kitchens began during the Depression. Al Capone and the military! You have to love it. I enjoyed this tidbit. great history! I think of the ministry in the book of Acts where they fed the poor and actually waited on tables, Steven being named as one of the men who served in this capacity. If it was used in the Bible, then I am pretty sure it isn't enabling the poor. So silly that people still think that! Kathleen, I agree. Let's hope it doesn't die out again. The poor will always be with us. I didn't realize they started in the military, thanks for sharing this today, great comments. Interesting - surprised that Al Capone started a soup kitchen! 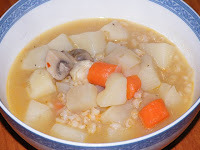 Paula, I might have to try barley soup again after reading it was chosen as a savory, filling meal! Bonnie, I wonder if Capone fooled anybody into thinking he was a good guy with the soup kitchen.